Daily Show mocks Asbestos, Que. Asbestos, Que. is taking another beating on the international stage, this time from American news satire program, The Daily Show with Jon Stewart. Asbestos, Que., is taking another beating on the international stage, this time from American news satire program The Daily Show with Jon Stewart. A comedic segment produced by one of the show's reporters, Aasif Mandvi, aired Thursday night on the program. It poked fun at the town for promoting the mineral that has been linked to cancer and lung disease. Mandvi's segment was filmed in Asbestos, and he interviewed both the president of Jeffrey Mine, Bernard Coulombe, and the town director, Georges Gagné. Mandvi pokes fun at the fact the town is named after a mineral linked to cancer. "Does 'asbestos' mean something different in French than it does in English?" he asks Coulombe in a sit-down interview. "Because in English, it means slow, hacking death." When Mandvi asks the president of the asbestos mine if chrysotile is safe, Coulombe replies: "Yes, it is. Relatively." Mandvi also uses scenes from a CBC documentary, Canada's Ugly Secret, showing workers in India handling asbestos with only bandanas on their faces. He chastises Coulombe for selling the mineral to India, where work safety regulations are not as strict as in Canada. "That's my family over there!" Mandvi, who was born in India, says to Coulombe. "I mean, what is the French word for douchebag? Anybody?" he asks the camera, in the final shot of the five-minute segment. Jeffrey Mine is one of Canada's last-remaining asbestos mines. 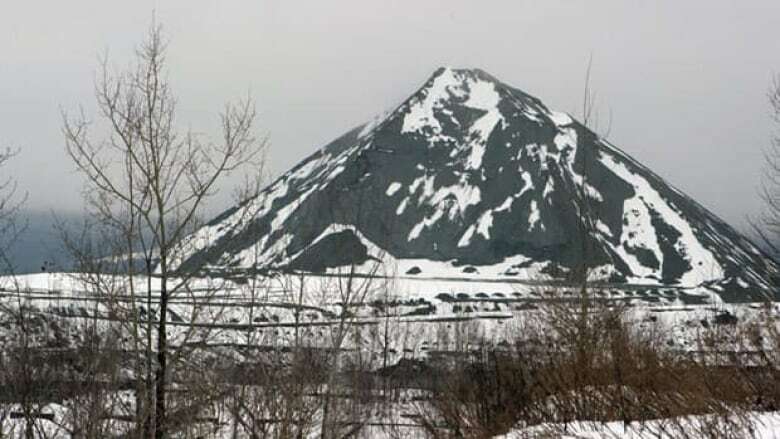 The Quebec government approved the expansion of the mine in April and has guaranteed a $58-million loan for the cash-strapped mine under condition that the promoter drums up additional financing. The move caused an outcry from health experts, labour groups and activists around the globe. The mineral, also known as chrysotile, is a popular construction material, and much of Canada's exported asbestos goes to India. Asbestos is no stranger to international criticism, from both serious news corporations and more light-hearted sources. The town was spoofed on the Australian Broadcasting Corporation's show The Gruen Transfer in June 2010. The reality show asked two advertising executives to design video ads to attract tourists to the town cursed by a name that reminds people of cancer. In July of the same year, the British Broadcasting Corporation aired a damning in-depth series on Canada's controversial asbestos industry and how the mineral is used in developing countries.